It's Fall! The Last Season These Fish Will Be...Well..In Season! Part 1: Swordfish — Our Wicked Fish, Inc.
Migration: The Atlantic Swordfish travels thousands of miles and is considered a Highly Migratory Specie (HMS). They spawn in warm waters in the Gulf and Caribbean and use the warm waters as a nursery. Once they mature, they follow the gulf stream and feed in the waters in higher latitudes (like Massachusetts!). Atlantic Swordfish will continuously circumnavigate around the Atlantic and are research subjects for satellite tagging. Not all fish can be grilled-swordfish, however, is heaven when put on hot grates over charcoal. It's firm texture can withstand kebob-ing yet can also soak up some fragrant herbs and zesty citrus. Swordfish should look pinkish and slightly translucent when raw (see above picture) with clean cuts on the flesh. Scraggly little bits and orange-ish/brown color is a sign that the steak is dehydrated and has been mishandled. Swordfish are at the top of the food chain-they eat a lot of fish and invertebrates and have very few predators. Like other big fish and apex predators, their tasty muscle has bioaccumulated some toxins, like mercury. Having a serving or two is a-okay but getting glutinous on swordfish is a bad idea as it could lead to mercury poisoning. It is highly recommended that pregnant women stay away from swordfish, and other big fish, because of their mercury content. Swordfish are primarily caught using pelagic longline gear. Longline gear involves using a main line (usually several miles long) that is held up by buoys and has many separate hooked lines that hang down through the water column. The hooks are set at a depth depending on the desired species. Since swordfish are commonly nocturnal surface feeders, fishermen set the longline at dusk with the hooks relatively close to the surface and check the hooks at dawn. To attract swordfish to the hooks, fishermen will deploy luminescent lights near the hooks to attract baitfish. Pelagic longlines do not impact the benthic environment; however, like all fishing gear, they can catch species that are not meant to be caught (a.k.a bycatch). No. Currently, Atlantic swordfish are not considered overfished. Their population was low during the early 1990's; however, due to fishing restrictions and a well executed plan, their stock has been rebuilt. Atlantic Swordfish are monitored by NOAA and International Commission for the Conservation of Atlantic Tunas (ICCAT). In Massachusetts, are swordfish available in the grocery store all year? Yes, swordfish can be found in the grocery store all year round. BUT, from winter into early late springs is when you'll see "Chile" or "New Zealand" or another place that sounds like a vacation destination as it’s origin. Swordfish are in in season now in the late summer-fall. In season means great price. In the off season, swordfish is pricey; however, when they are cruising off of Massachusetts you can find U.S. caught Atlantic Swordfish for about $14/lb. 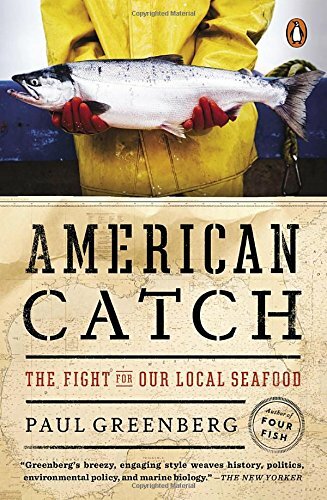 Remember, locally caught fish means fewer freezing/thawing cycles, it was caught without slave labor, it has most likely been processed in the U.S. and has directly benefited our economy and fishermen.